What is the fundamentalist Christian version of the American Taliban up to in these heady days nearing November’s mid-term elections? The answer is a lot, an awful lot (with an emphasis on the word “awful”). The lying, deceitful nature of fundamentalist Christian supremacy truly knows no bounds. This constitutionally derelict cabal isn’t even remotely content with having a massive media empire, a monolithic fundraising base, swelling and dominant hegemony within the ranks of the U.S. Armed Forces, and supreme political sway within civilian legislatures across the United States. These dangerous dominionists have now set themselves towards rewriting American history in a manner that opportunistically advances their anti-Constitutional agenda. For those who’ve been following the advocacy of the Military Religious Freedom Foundation (MRFF), this isn’t necessarily breaking news. It has been the direct mission of MRFF to aggressively fight these fanatical Christian religious zealots and the perverse poison of their theocratic bigotry and prejudice at each and every opportunity provided. And, my friends, a new one just materialized. The misleadingly named “Restore Military Religious Freedom Coalition (RMRF),” a lie-generating rats’ nest comprised of numerous Christian fundamentalist Taliban-style entities, has sponsored a billboard at the doorstep of the USAFA in Colorado Springs, CO. The billboard ridiculously implies that Air Force cadets are prohibited from practicing their faith at USAF – conveniently ignoring the deep-rooted Christian fundamentalist dominance extant throughout the Academy for many ignominious years (USAFA even has a house “gay cure” guru in their employ). The large-scale signage asks cadets, “Are you free to say so help me God? They did.” Set against the background of a photo of Mount Rushmore, the billboard constructs a wholly false equivalent between the core values of the Founding Fathers of the United States and the Constitutionally-prohibited religious activity within the government and military that they stood steadfastly against. Obviously, and quite predictably, MRFF has responded to this very latest vile and dishonest attempt at historical revisionism by these fundamentalist Christian supremacist cretins. Our rebuttal has come in the form of our very own billboard posted on the direct FLIP SIDE of the RMRF signboard. Yes, as fortune would have it, the other side of the RMRF billboard just happened to be available. MRFF’s rebuttal billboard speaks for itself and clearly carries the day. So, once again, what’s all this hue and cry about? Well, under withering MRFF pressure last October, the Academy made the phrase “So Help Me God” an optional component of its previously mandatory cadet honor oath. MRFF currently has 480 cadets, staff and clients at USAFA, 401 of whom self-identify as practicing Christians, both Protestant and Roman Catholic. It goes without saying that we would never abandon our clients when they risked their careers and personal well being to alert MRFF of what basically amounts to a blatantly unconstitutional religious test. And of course, the cadets of USAFA are completely free to say “so help me God” if they so choose. Our issue is that this important decision should be THEIR clear choice; coercion, bullying, and force shouldn’t play a role in what they choose. But the dominionist Christian American Taliban was never very big on “choice”. RMRF’s disgracefully repugnant historical fabrication that the Founding Fathers were all merry Christian supremacist theocrats flies in the face of literally all that we know about them, historically. These were genuinely and fiercely secular gentlemen of destiny. In the final analysis, Enlightenment Rationalism profoundly guided them in spite of their personal religious inclinations. Just as an example: in May of 1778 at Valley Forge, then-General George Washington signed an officer’s oath that clearly made NO reference to “God.” Likewise, even the Continental Congress didn’t add the words “so help me God” to the officer’s oath (last November we also pointed out this irrefutable fact with a billboard). In accordance with the Constitution’s ‘no religious test’ clause (Article 6, Clause 3), neither did the first Congress under the Constitution in 1789. The fact is, innumerable sources show that George Washington, Thomas Jefferson, and Abraham Lincoln took multiple oaths absolutely without any mention of “God,” or any deity whatsoever. In short, the nefarious foundational purposes and goals of the fundamentalist Christian American Taliban, disingenuously whining and pitifully moaning about “oppression” and the “restriction” of their so-called “religious liberties”, have nothing in the least to do with legality, history, or even morality… nor can they make common cause with the slightest nuance of human decency and respect. Their false-flag screams of “Christian victimization” are merely borne of an inability to universally bully, harass, and oppress on a basis of searingly sectarian arrogance, prejudice and bigotry. 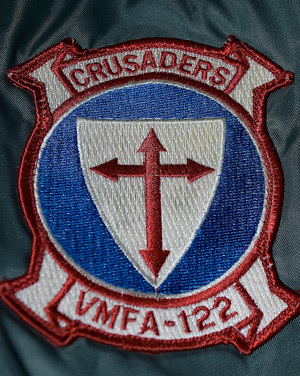 As long as these Christian fundamentalist oppressors continue their efforts to fully subvert and control the United States military as a force-multiplier for their weaponized, twisted version of Christianity, MRFF will be there to thwart their theocratic oppression. Indeed, MRFF will leave no stone unturned nor any billboard of lies unanswered. The interior of the US Air Force Academy Cadet Chapel in Colorado Springs, CO, October 14, 2011. Previous Mullahs trying to ban laughter?